Product prices and availability are accurate as of 2019-04-19 18:53:42 EDT and are subject to change. Any price and availability information displayed on http://www.amazon.com/ at the time of purchase will apply to the purchase of this product. The Gerber 22-41830 E.A.B. 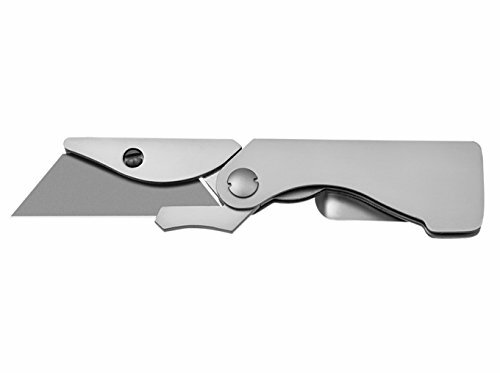 Pocket Knife with Exchange-a-Blade is a safe and lightweight alternative to the traditional box cutter, and because it accepts standard utility blades, you will always have a sharp knife handy.The pocket clip doubles as a money clip, and the liner lock construction keeps the blade safely open while in use. When one side of the blade gets dull, just turn the blade over. When both sides are dull, simply replace the blade. View larger. Made from durable stainless steel, the Gerber E.A.B. 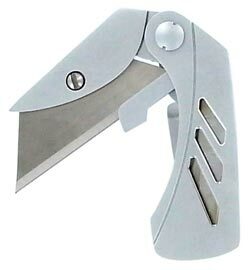 Pocket Knife will stand up to daily use as a box cutter, pocket knife, or as the back-up knife you keep in your backpack, purse, or car. 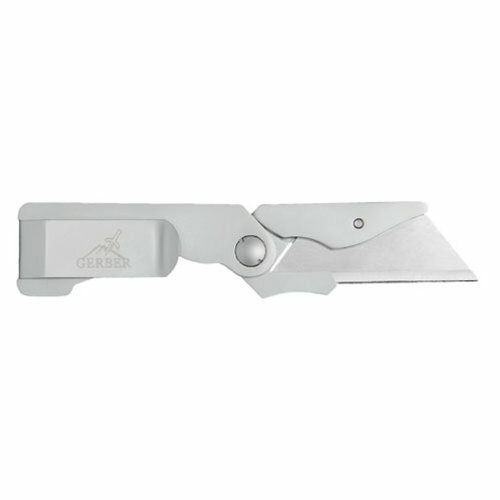 With its handy exchange-a-blade feature, the Gerber E.A.B. Pocket Knife will always be sharp. Because it uses contractor grade or standard size utility blades, you can cheaply and conveniently change blades as often as you need. You won't have to worry about ruining the blade when you cut through tough surfaces--just replace it and keep working. When one side of the blade gets dull, you can still use the other side by turning the blade over. When both sides are dull, simply unscrew the stabilizing screw and replace the blade. 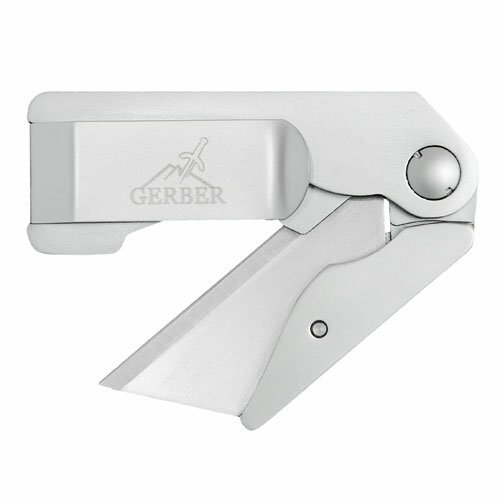 At only 2.2 ounces and 2.4 inches in length when closed, the Gerber E.A.B. Pocket Knife stores easily and comfortably in your pants or shirt front pocket, keeping the knife nearby for frequent tasks. A convenient pocket clip doubles as a money clip and allows the knife to rest on the edge of the pocket, increasing accessibility. Liner lock construction locks the blade solidly in the open position, so you can apply pressure without worrying about the knife closing on its own. A finger guard over the blade keeps your fingers safe, and the shape and heft of the knife keep it from wobbling or slipping. The Gerber E.A,B, also makes a great monogrammed gift, with its flat handle and slim profile. Gerber 22-41830 E.A.B. Pocket Knife with Exchange-a-Blade.